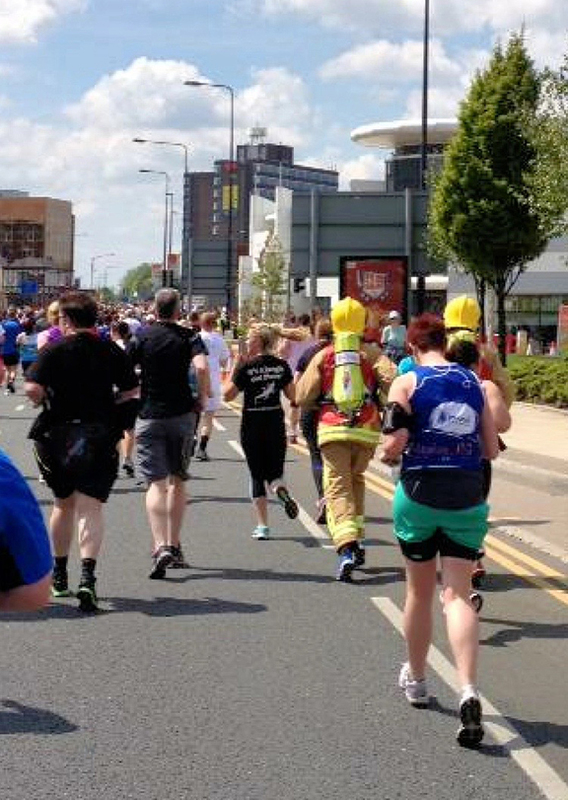 Four firefighters from Cheshire Fire and Rescue Service have signed up to run in the Greater Manchester Marathon, in full fire kit, to raise money for charity. 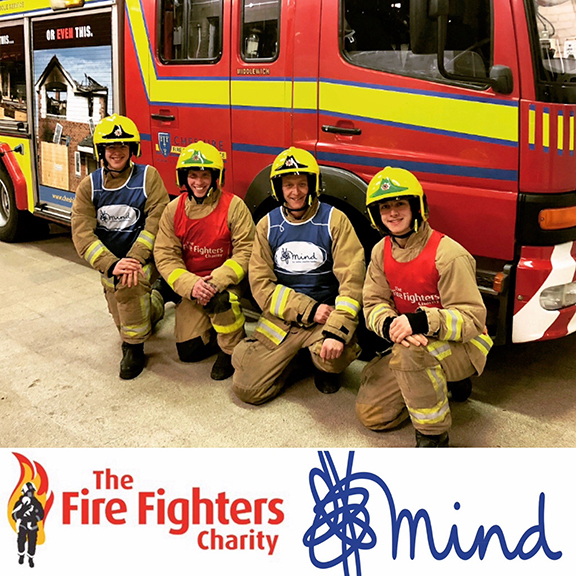 The firefighters who will be running the marathon, on Sunday 7 April, for Mind and the Firefighters Charity, are Ashley Powell (Wilmslow & Middlewich), Paul Leigh (Crewe & Middlewich), Simon Calvert (Middlewich) and Peter Daniel (Middlewich). Ashley Powell said: “This will not be our first challenge but it will certainly be our biggest. The uniform we will be wearing is very, very warm and we have to ensure we drink plenty of fluids throughout the course – you can usually wring out our jackets afterword’s with the sweat! 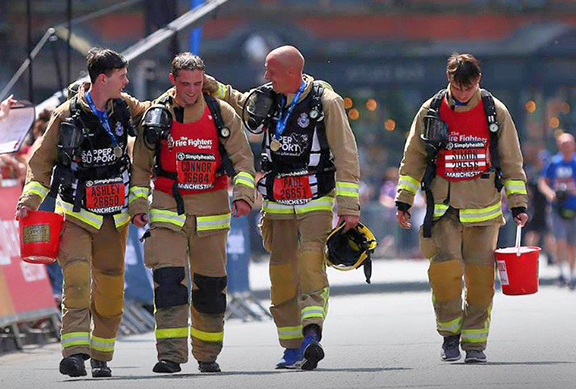 This isn’t the only challenge the group will be taking on this year as they also plan to enter the Greater Manchester Half Marathon later in the year but this time wearing full kit and a breathing apparatus kit, weighing 15kg. ← Previous Story Calling Junior Rangers!